Workers can also be sensitive or allergic to everyday substances e.g. sap from vegetables or flowers. All companies and businesses must train their staff to understand COSHH, and companies of 5 people or more must not only complete a COSHH assessment, but must ensure their COSHH assessment is recorded. Here are some of the reasons our online COSHH in the Food Industry training is one of the best in the industry. 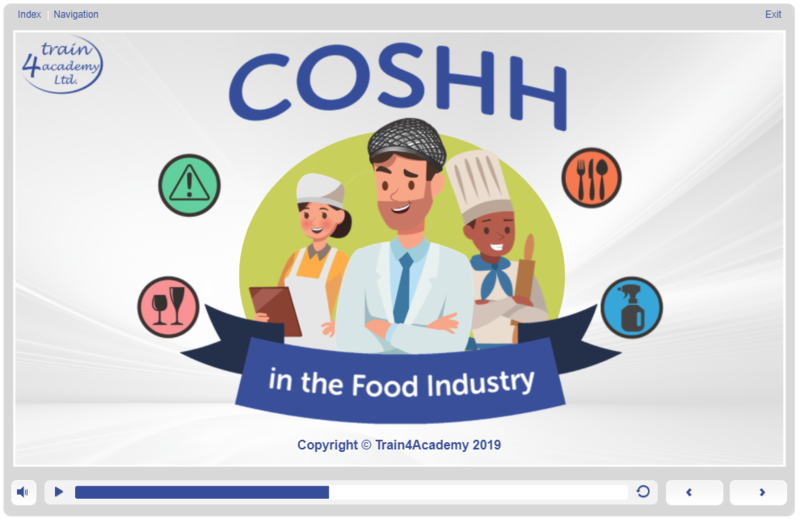 This COSHH Training course will clarify the requirements of COSHH and is written specifically to cover the substances used in the food industry. Downloadable assessments are available for you to complete if required. This is an essential tool for every manager who is required to write a COSHH risk assessment. 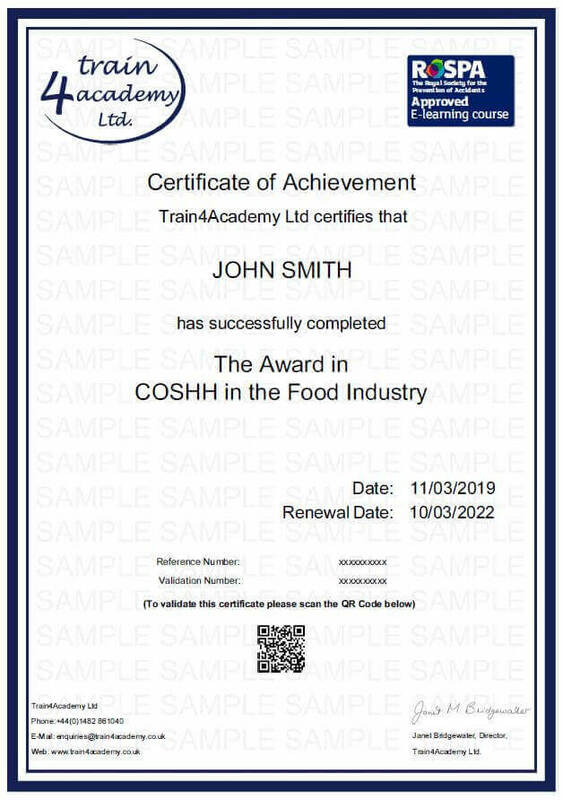 Ready to gain your COSHH in the Food Industry Certificate? Who should take this COSHH Course? 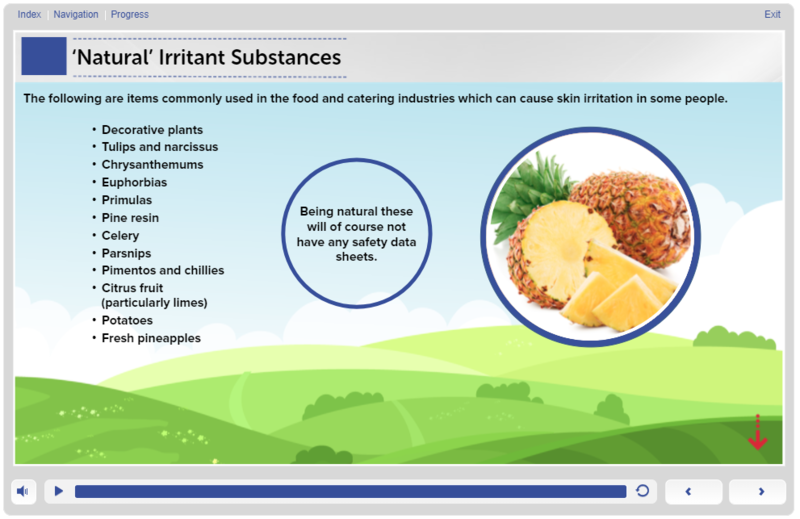 If a role invovles coming into contact with harmful substances, then our online training will help them be aware of these potentially hazardous chemicals, degreasers and natural substances when working in a food enviroment. Our COSHH in the Food Industry is a Certified CPD course. How long does a COSHH in the Food Industry Hygiene Certificate last? 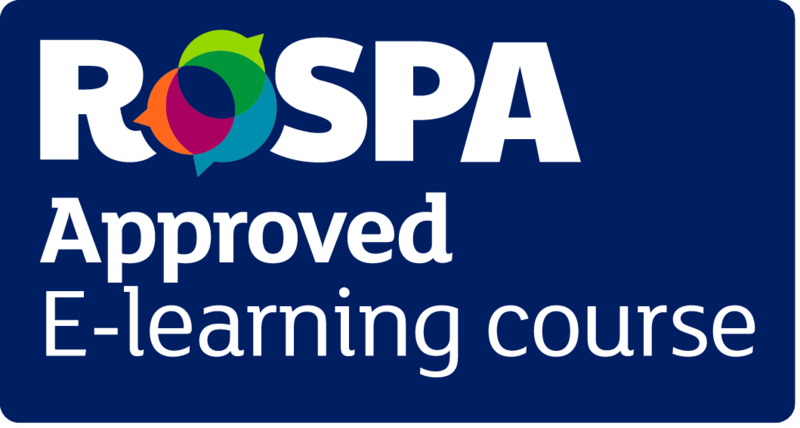 Our COSHH online training course has been approved by Environmental Health Officers with its content developed in accordance to their guidelines, which means you can be sure you’re receiving the right training for your role. This COSHH in the Food Industry training provides 2 points towards your Continuing Professional Development (CPD). If you don’t pass the assessment first time there is no need to worry. We offer you unlimited FREE resists to make sure that you pass and get your certificate in COSHH in the Food Industry, stress free. Cleaning Hazards This module explores the meaning of CoSHH and how it is imperative to the safe practice of workers when working in a food and cleaning environment. 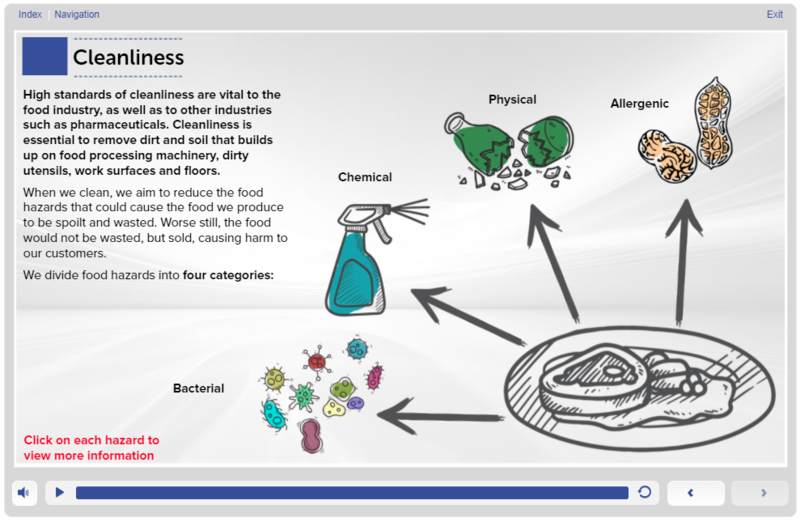 It looks at the different food hazards associated with CoSHH, and how contamination and cross-contamination should be prevented. 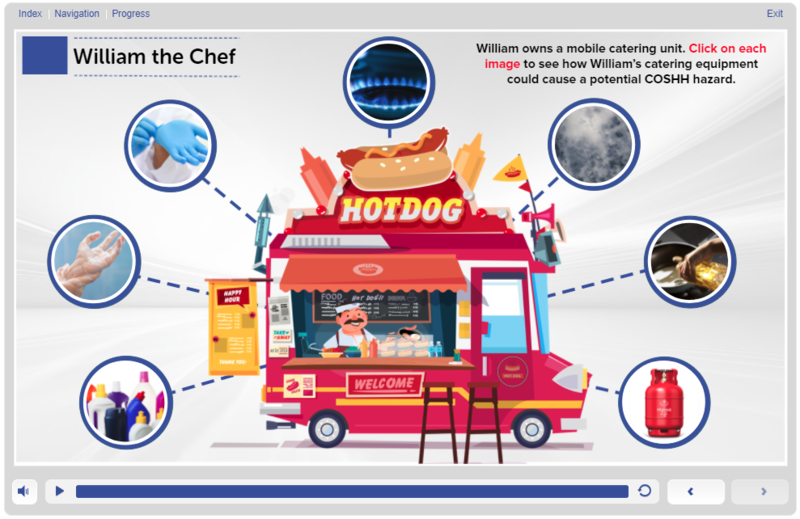 Handling Hazards This module covers the 5-steps to constructing a risk assessment and how this can be used within a food business. It looks at what safety data sheets are and how they should be implemented. CLP regulations and hazard symbols are also explored within this module.